EUCasino is a European casino obviously, and not just in name. It’s based in one of the European Union countries and it functions based on their laws. The company that runs the site is SkillOnNet Ltd, based in Malta. Naturally, the gaming license that they use comes from the same country. This casino has been established in 2009, meaning that they’ve invested a lot of time into building a userbase and a reputation and generally that should give you an added layer of security. Their site is easy to use, with the left sidebar showing off the games options, while at the top and the bottom you will find information on things like promotions, VIP Lounge or payment options. It’s not a great design, but it’s easy enough to use and you don’t have to go hunting for information in the depths of the site. That same site is offered in English, with options to use about 18 other languages, from German to Danish, Portuguese, Romanian or Turkish, among others. It’s obviously very friendly for European citizens, since their languages are the ones that are provided for the most part. The only exception is the Arabic version of the site, but even that one has a big enough audience within the EU. The same wealth of options is visible in the currencies which are supported, those starting out with classic options like the USD, EUR or GBP, but also offering RUB, ZAR, CAD, SEK, NOK, DKK and AUD. EUCasino advertises its 600+ games, and we know that they’re mostly coming from the SkillOnNet platform and Microgaming. The others are NetEnt, Cryptologic, NextGen and WMS. The casino is available both in instant-play mode and in a downloadable version which you can install on a PC. As with every other casino that you might want to try out, the bulk of the games that are offered will be found among the Slots. They’re not alone though, and so if you’d prefer Card Games, Roulette, Video Poker or Live Casino, those are available in their own categories as well. You can even dig down and find the Jackpot Games (about 16 different options) or Other Games. The Live Games is well enough populated and its games are coming from Extreme Live Gaming, a smaller company that has been established in 2013 and acquired a year later by the much better known Novomatic Group. You’re going to load up a secure site, encrypted via SSL, same as any other online casino these days. Both the private information and the financial data you send out will be kept secure from prying eyes. The fairness of the casino’s RNG system has been ensured via independent audits from iTech Labs, and the direct link to the certificate has been provided on their About page. As the certificate mentions, the RNG is compliant with the regulations of the MGA, Malta’s Gaming Authority. That’s another reason to consider yourself treated fairly, the fact that the gaming license comes from that jurisdiction, one of the better options available to casinos right now. The EUCasino’s welcome offer is a more unique one than others that you’re going to find out there. Instead of giving you a cash bonus, you’re getting 1 Free Mega Spin for every 1 Euro you put in. Up to 100 Mega Spins can be won, for deposits of up to 100 EUR. You can spend up to 5 EUR at a time for your individual bets, or just 1 EUR if you deposited via Skrill or Neteller. I suggest you check out the T&C page for your offer, to make sure you get to enjoy the fruits of your work. The wager requirement is at 30x for the aggregate amount (deposit and bonus). 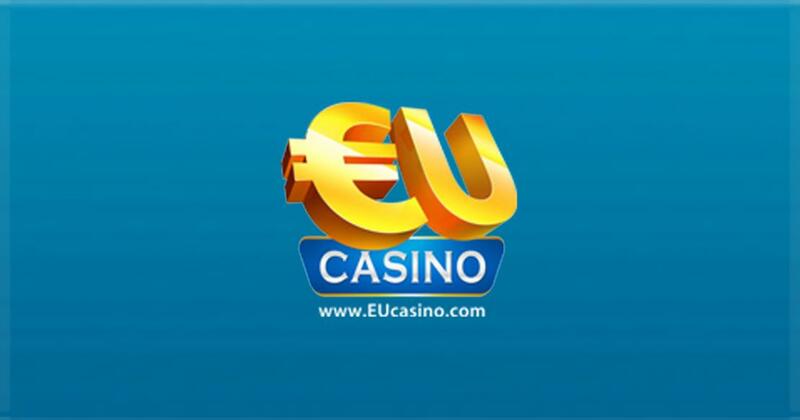 With each wager placed at EUCasino, you get VIP points in exchange, redeemable down the line for instant cash. Once you get past the initial welcome package, you have a new set of promotions to choose from each day, on the Daily Picks page. Come back every day to see what’s available. There are several other options to enjoy, such as the bonuses from the VIP Lounge, the daily tournaments or the monthly promotions that tend to have bigger payouts. Customer Support is available 24/7, which is a plus for them, but as a downside you will find that they’re only giving you the option to use phone and email. The favorite of many, the live chat, is not provided on the site.